Robert Kirkman, The Walking Dead creator, talked to EW about watching the character of Negan come to life before his eyes and admits that “seeing Jeffrey Dean Morgan in costume, holding Lucille, saying lines — yeah, I don’t get goosebumps a lot, but that definitely happened.” And now there is a leaked promo for Negan to accompany Kirkman's excitement. Negan is a fictional character in the comic book series The Walking Dead. He is the leader of a group of over 50 survivors in Washington, DC called the Saviors, who subjugate other communities in the area for resources in return for their protection against zombies. 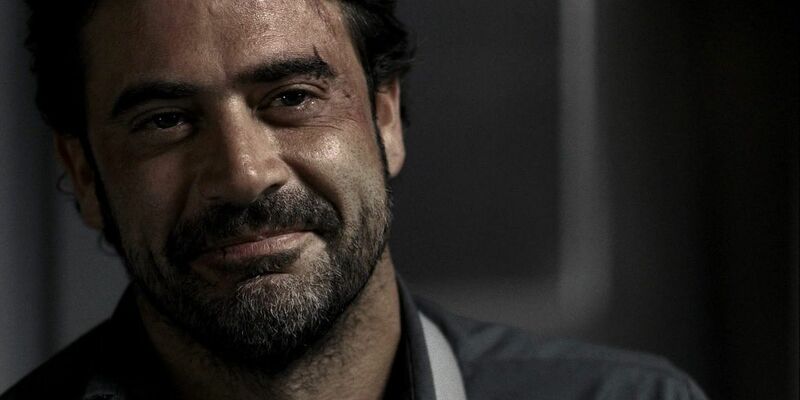 Jeffrey Dean Morgan (Supernatural, Batman V Superman) will portray Negan in the television series and will first appear in the series' sixth season finale.